The recent arrest of Rodney King on DUI charges in Riverside County highlights the issue of DUI charges involving medical marijuana in Los Angeles. Our Riverside medical marijuana defense lawyers are seeing an increasing number of medical marijuana patients accused of driving under the influence. In this case, King faces up to a year in prison on the DUI charge. He said he was using medical marijuana to deal with back pain. As we reported in August on our Marijuana Lawyer Blog, authorities are handing out an increasing number of DUI drug charges in Los Angeles. 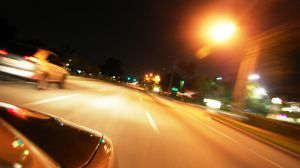 Authorities believe as many as 1 in 10 nighttime drivers in the L.A. area are under the influence of marijuana. And the L.A. times reports more than 1,000 serious and fatal accidents a year in L.A. involve a driver high on marijuana. Police believe such accidents have increased by 50 percent in the last decade. Folks, it’s ridiculous. It hasn’t been that long ago since the L.A. sheriff held a press conference and spent the day waiving lollypops while warning parents of marijuana-laced candy in their child’s trick-or-treat bag. The National Highway Traffic Safety Administration reports “specially trained” officers are returning to their communities with the ability to tell whether a driver is operating a vehicle under the influence of drugs. If you are stopped and accused of driving under the influence of drugs, simply remain polite, remain quiet, and contact an attorney. In many cases, such charges are nearly impossible to prove. Authorities rely upon intimidation and a defendant’s own statements to try to secure a conviction. You may not be obligated to take a blood test. And even if results show the presence of marijuana it does not mean you were under the influence at the time of arrest. Marijuana can remain in your system for up to 30 days — long past the time when it impacts your ability to drive. As for these “specially trained” officers, we think psychics could do as good a job. We don’t even believe field sobriety tests are a credible tool. In each of these cases the results of such “testing” are nothing more than the opinion of an officer about your guilt. Considering the fact that an officer’s job is to collect evidence of your guilt, these tests are anything but objective and a motorist has little or no chance of passing. You have the right to remain silent. Exercise it. And contact an L.A. medical marijuana defense lawyer to protect your rights. The CANNABIS LAW GROUP offers experienced and aggressive representation to the medical marijuana industry in Southern California– including growers, dispensaries and collectives, patients and those facing marijuana charges. Call 714-937-2050 for a confidential consultation to discuss your rights.